Last time it turned out that the Netherlands is the most ready country for Autonomous Vehicles! This time we look at the Top 10 Automotive Trends. KPMG does a yearly survey of 1000 executives in the automotive industry. 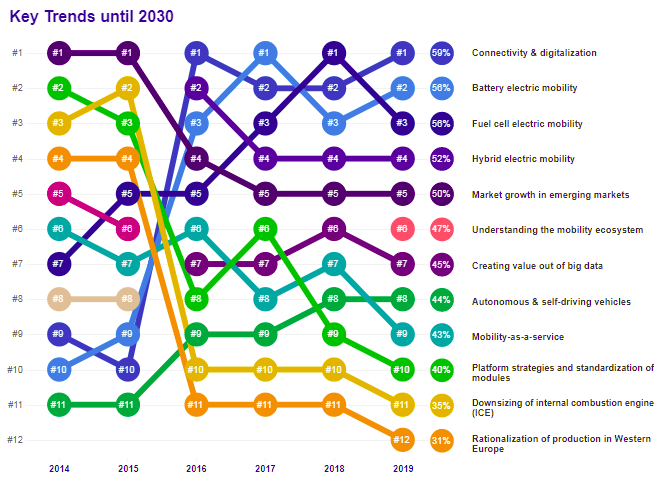 The most important topics among executives seem to be connectivity, digitalization, electrification & hydrogen! The KPMG report is full of details and KPMG Partner Loek Kramer & Manager Digital Advisory Stijn de Groen explain me how to interpret the results!